Offensive Weapons around the NFL in the AFC & NFC North, South and West. 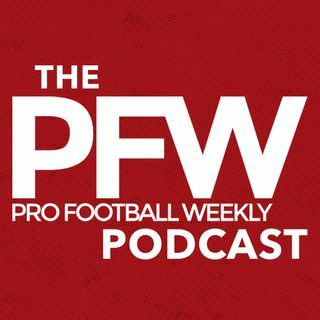 Arthur Arkush and the Pro Football weekly crew go around the league to discuss some of the key offensive players in the NFC and AFC. Join Hub Arkush, Nate Atkins, Kevin Fishbain and Arthur Arkush as they break down the best offensive weapons in wide receivers, running backs, and tight ends throughout the AFC and NFC North, South and West. When you take a look at this year’s draft in the AFC South, there are a lot of high profile college players that are now entering the pro ranks...is there one ... See More player in there that’s worth talking about? In the AFC West, are the Denver Broncos still talented enough to stay in playoff contention? We know that there is some talent at the quarterback position in the AFC North, but what about the other offensive talent...Hub Arkush gives his take. In the NFC, how much does a healthy Kelvin Benjamin add the Carolina Panthers offense? Was Aaron Rodgers performance because of his lack of weapons or because he was struggling as a QB? What kind of weapons will Chip Kelly and the 49ers be using this year? The guys discuss this and much more in this week's Pro Football Weekly Podcast!